The Nik of Time, Inc.™ team is excited to introduce the PANTRYCHIC™Store & Dispense System™ Launching in 2019!! The Inventor, Founder and President of Nik of Time, Inc™., Nicole Sollazzo Lee, invented the patented PANTRYCHIC™ Store & Dispense System™ while enjoying one of her many hobbies, baking. Living in a small New York City apartment, working in a tiny kitchen with no dishwasher, getting tired of inconsistent batches of holiday cookies, she quickly identified a need for a simple, convenient and more time efficient way to store, measure and collect ingredients. After several years of research, Nicole assembled an exceptional team, including: Angelika Belle, Product Designer & President of Carbon Project, Inc., David Huang, Mechanical Engineer, Bill Conley Focus PDM and SourceOne to bring this novel product line to fruition. What if I told you you can throw away your measuring cups and with the touch of a button get the exact amount of an ingredient you desire? Whether baking from scratch, abiding by dietary needs, or seeking to control portions, food preparation can become a time-consuming and complicated endeavor. Requiring accuracy in measuring is essential. The PANTRYCHIC™ Store & Dispense System™ simplifies preparation by removing the cumbersome task of measuring ingredients - in the measurement units of your choice! The ability to conveniently dispense ingredients directly from sophisticated storage canisters - coined SmartCanisters™ - into a bowl is now possible with the PANTRYCHIC™Store & Dispense System™. Store your ingredients in airtight SmartCanisters ™ and select the amount of ingredient you want to dispense. Dispensing straight from the SmartCanisters ™ with the PANTRYCHIC™ Store & Dispense System™ not only provides accuracy in measuring, but also minimizes clean up time! Concerned about preservatives? Have special dietary needs? Take the control back and throw away those processed and boxed mixes. The PANTRYCHIC™ Store & Dispense System™ allows you to make ingredient substitutions to accommodate health and dietary needs, customize recipes and help with portion control without the hassle of complicated conversion charts and manual measuring. 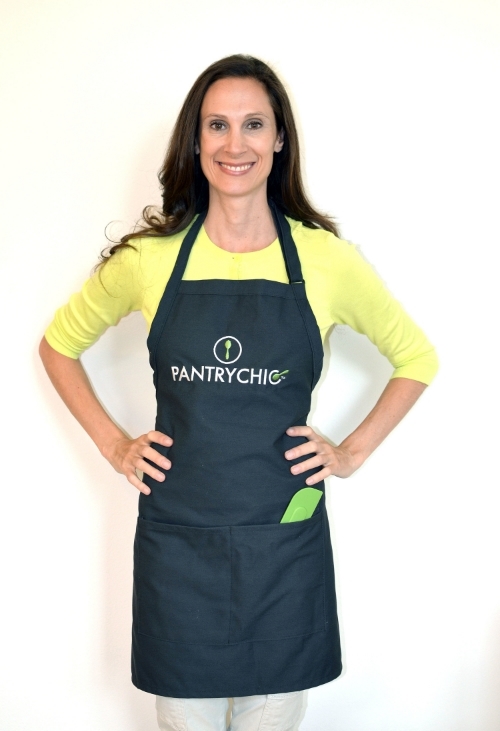 PANTRYCHIC™, a division of Nik of Time, Inc.™ a Delaware Corporation.